Interested in renovating your pool and making your backyard experience everything you've always dreamed about? 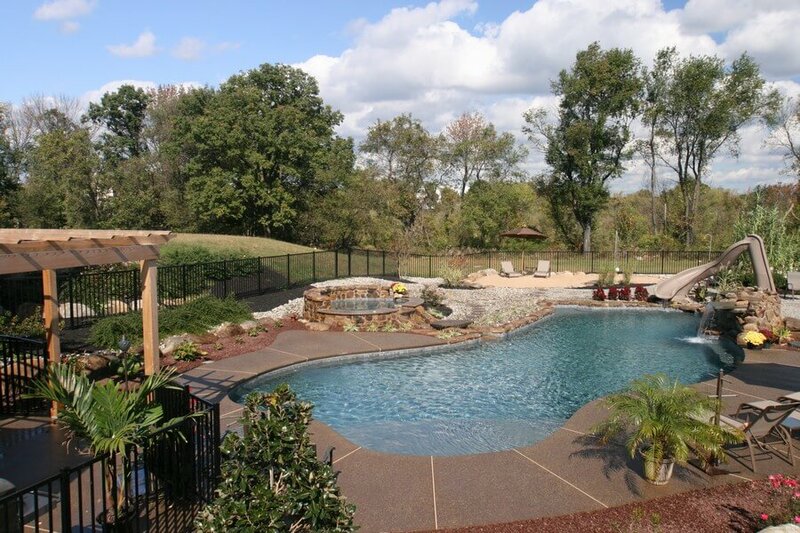 We add beautiful and exciting features such as saps, tanning ledges, waterfalls, fountains, slides, diving boards, volleyball nets and basketball nets. New tile, interior finishes, and decking can be added as well. Old equipment can be replaced with quieter, lower costing, more efficient eco-friendly equipment. We design and build breath taking cabanas, fireplace, outdoor kitchen, bars and other structures. Our full design services are available to you. Our professional landscaping and hardscaping can transform your property into a beautiful view for your family to make memories for many years to come. Would you like to exchange your pool for a garden, a pond, or perhaps an easy care pond-less waterfall? We can remove your existing pool and fill in the excavation to create something wonderful. 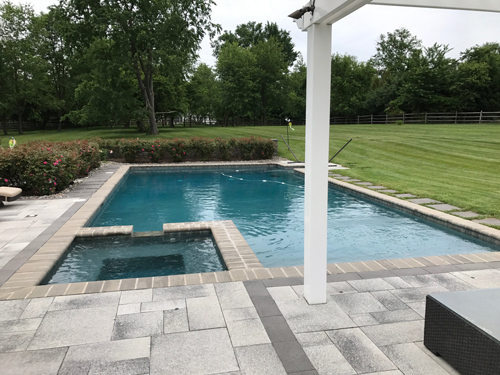 Contact us for your pool renovations and repairs, as well as your landscape architecture needs throughout Montgomery, Bucks, Mercer, Hunterdon, Burlington, Burks, Chester, Delaware & Philadelphia Counties. Tired of your existing pool? Want to bring your old pool back to life? 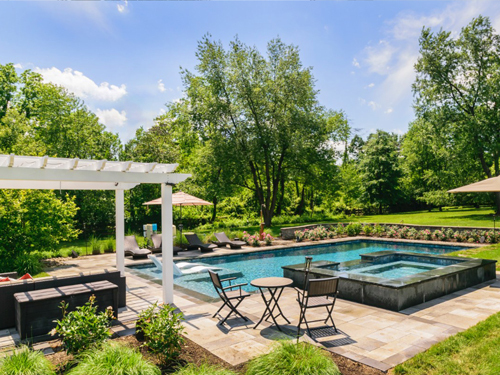 Our creative design team can add unique elements to turn your existing pool and spa into the dream backyard experience you've always wanted. We have many options to choose from when rebuilding your pool and spa.